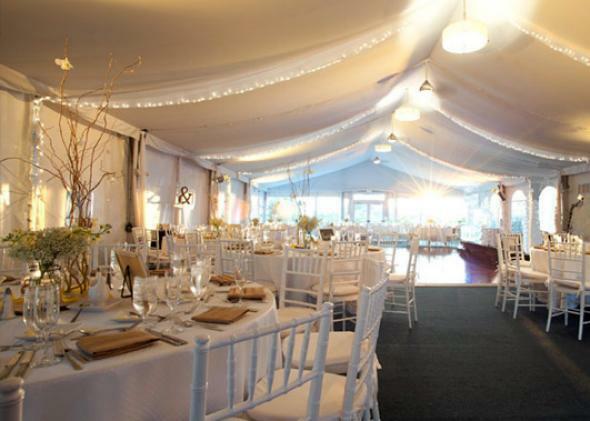 Average wedding cost: published numbers on the price of a wedding are totally inaccurate. That widely used “average wedding cost” figure is grossly misleading. Here’s a much more accurate number. A wedding reception at the Crowne Plaza Hollywood Beach Hotel in Hollywood Beach, Florida. Earlier this month, The Knot released the results of its annual “Real Weddings Survey,” which reported that the average wedding (honeymoon excluded) cost $31,213 in 2014, a 4.5 percent increase from the previous year. In 2013, Will Oremus took a look at where those numbers come from and explained why they’re less than truthful. The original is reprinted below. Weddings are expensive. There’s no way around it. Well, maybe one. But for most couples, eloping doesn’t start to seem like a really good idea until you’re neck-deep in the wedding planning process, and by then it’s too late. Just how expensive are they? It depends, of course, on three factors: where you get married, how many people you invite, and whether you or anyone in your immediate family is the sort of person who can’t imagine a celebration without Chiavari chair covers. But when you’re starting to plan a wedding and trying to get a rough idea of how severely it is likely to dent your bank account, “it depends” isn’t a very helpful answer. So my fiancée and I did what most couples do: We asked Google how much the typical wedding costs. The answer from all quarters—wedding sites, credible news outlets, the New York Post—is remarkably consistent, precise, and definitive. It is also grossly misleading, and almost certainly wrong. “Average wedding cost $28,400 last year,” reports CNN Money. “Average U.S. wedding costs $27,000! !” enthuses the New York Daily News. “Average cost of U.S. wedding hits $27,021,” declares Reuters, which should know better. That’s more than just expensive. For a lot of people, it’s prohibitive. These reports often point out that the national average doesn’t tell you everything, because the average cost in some states is much higher than in others. In New York City, for instance, the average cost is an eye-popping $76,687, according to CNN Money. Say “I do” in Alaska, and the figure plummets to $15,504. But even accounting for regional variation, these numbers seem exorbitant. And the New York number is positively Gatsby-esque. My fiancée and I always knew we were not particularly well-off by Empire State standards, but we couldn’t believe that our fellow Manhattanites were shelling out a sum that exceeds our combined annual salaries on a single decadent day’s worth of nuptial festivities. In fact, most of them aren’t—and nor is the typical American couple dropping $28,000 on a wedding, or anything particularly close to that number. So why does everyone report this number like it’s a fact? Watch: Why are wedding dresses so expensive? The first problem with the figure is what statisticians call selection bias. One of the most extensive surveys, and perhaps the most widely cited, is the “Real Weddings Study” conducted each year by TheKnot.com and WeddingChannel.com. (It’s the sole source for the Reuters and CNN Money stories, among others.) They survey some 20,000 brides per annum, an impressive figure. But all of them are drawn from the sites’ own online membership, surely a more gung-ho group than the brides who don’t sign up for wedding websites, let alone those who lack regular Internet access. Similarly, Brides magazine’s “American Wedding Study” draws solely from that glossy Condé Nast publication’s subscribers and website visitors. So before they do a single calculation, the big wedding studies have excluded the poorest and the most low-key couples from their samples. This isn’t intentional, but it skews the results nonetheless. But an even bigger problem with the average wedding cost is right there in the phrase itself: the word “average.” You calculate an average, also known as a mean, by adding up all the figures in your sample and dividing by the number of respondents. So if you have 99 couples who spend $10,000 apiece, and just one ultra-wealthy couple splashes $1 million on a lavish Big Sur affair, your average wedding cost is almost $20,000—even though virtually everyone spent far less than that. What you want, if you’re trying to get an idea of what the typical couple spends, is not the average but the median. That’s the amount spent by the couple that’s right smack in the middle of all couples in terms of its spending. In the example above, the median is $10,000—a much better yardstick for any normal couple trying to figure out what they might need to spend. Apologies to those for whom this is basic knowledge, but the distinction apparently eludes not only the media but some of the people responsible for the surveys. I asked Rebecca Dolgin, editor in chief of TheKnot.com, via email why the Real Weddings Study publishes the average cost but never the median. She began by making a valid point, which is that the study is not intended to give couples a barometer for how much they should spend but rather to give the industry a sense of how much couples are spending. More on that in a moment. But then she added, “If the average cost in a given area is, let’s say, $35,000, that’s just it—an average. Half of couples spend less than the average and half spend more.” No, no, no. Half of couples spend less than the median and half spend more. When I pressed TheKnot.com on why they don’t just publish both figures, they told me they didn’t want to confuse people. To their credit, they did disclose the figure to me when I asked, but this number gets very little attention. Are you ready? In 2012, when the average wedding cost was $27,427, the median was $18,086. In 2011, when the average was $27,021, the median was $16,886. In Manhattan, where the widely reported average is $76,687, the median is $55,104. And in Alaska, where the average is $15,504, the median is a mere $8,440. In all cases, the proportion of couples who spent the “average” or more was actually a minority. And remember, we’re still talking only about the subset of couples who sign up for wedding websites and respond to their online surveys. The actual median is probably even lower. She’s right that couples shouldn’t base their budgets on what others spend. But wedding planning is often a one-shot deal, so a lot of couples aren’t going to have much context about how much they should expect to pay. And I can tell you from experience that people in the wedding business don’t just use the average numbers as a sign of the industry’s health. They use it as justification for their exorbitant prices and as a bludgeon with which to beat would-be frugal couples into submission. Complain about a reception venue’s $250 “cake-cutting fee,” or its $10,000 food and drink minimum, and you’ll be curtly informed that it’s standard in the industry. Photographers who charge $2,000 for an evening’s worth of snapshots point out that TheKnot’s reported average is $2,379, so you’re actually saving $379. If you’re not careful, you start to believe them. Just look at the New York Post writer who boasted ecstatically of how she had “saved” $30,000 on her wedding by spending “only” $15,000. I hate to be a spoilsport, but she didn’t “save” anything. She spent the equivalent of a down payment on a Lexus for one day’s worth of partying. I don’t blame TheKnot.com or Brides for publishing these figures. But the media is doing a disservice by parroting them without a hint of context or skepticism. At times the results border on the absurd. Witness the Huffington Post article that breathlessly reports, “Average Wedding Cost Exceeds Median Income in U.S.,” without ever pausing to ask how that could possibly be the case. There are a lot of sites and publications, TheKnot.com included, that offer excellent tips for saving money on your wedding. And once you realize that the typical American wedding costs closer to $15,000 than $30,000, it becomes that much easier to say “no” to things you don’t need and embrace the expenses that are important to you. My fiancée and I realized this a little late in the game, and ended up spending more than we would have liked. But we’re still paying less than half of the reported average for our chosen location, the San Francisco Bay Area, and the wedding will be beautiful. There’s nothing wrong with spending 28 G’s in 24 hours if you’ve got the means. Just don’t fool yourself into thinking that there’s anything average about it. “Stop the Scourge of Wedding Presents: They’re outdated, inefficient, unfair, and unnecessary,” by Matthew Yglesias. Posted Tuesday, June 11, 2013. “The Guest List Is Full: Seventeen years ago we didn’t want to invite our parents’ friends to our wedding. Now I regret it,” by John Dickerson. Posted Thursday, June 13, 2013. “Calling Dear Prudence: Emily Yoffe answers your wedding questions on our call-in show,” by Emily Yoffe. Posted Thursday, June 13, 2013. “I’m a Gay Man Who Wants to Get Married: But how do I have a wedding that’s not so…. straight?” by J. Bryan Lowder. Posted Thursday, June 13, 2013.